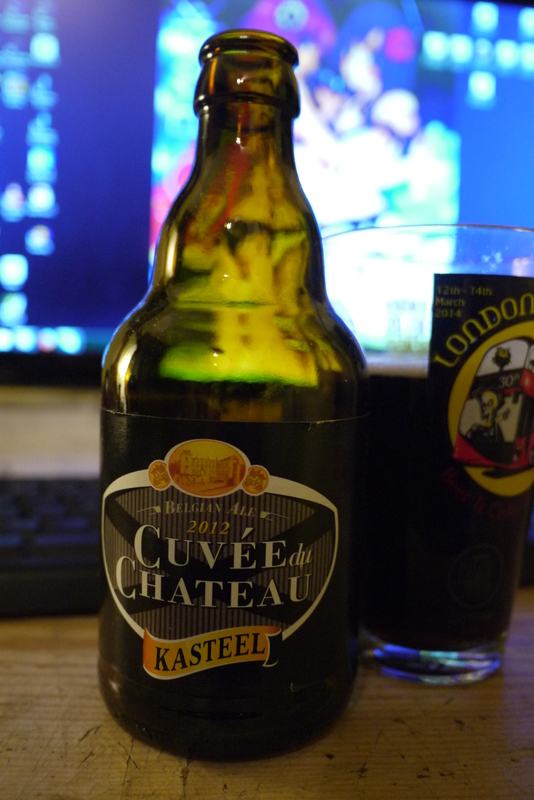 So yeah here we have Cuvee du Chateau from Kasteel standing at 11%. For me, the taste is similar to Kasteel’s Donker but nowhere near to its epic level, but this does have its own pieces to talk about. The aroma has a strong alcohol to it, with dark sugar sweet notes and dark fruits like raisins. The texture is a little thin with low carbonation. The finish is very brief with a smidgen of alcohol on the tip of your tongue. The taste starts sweet then dissapates to let that alcohol strength through, with a taste of raisin, malts and even though its hidden there is the slightest of spice. Yet it is not that much of a warming drink. Now this will sounds nuts, it finally clicked, but it also reminds me a bit of red wine.